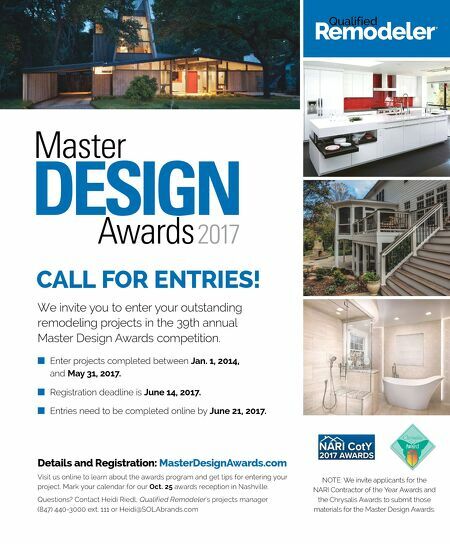 We invite you to enter your outstanding remodeling projects in the 39th annual Master Design Awards competition. ■ Enter projects completed between Jan. 1, 2014, and May 31, 2017. ■ Registration deadline is June 14, 2017. ■ Entries need to be completed online by June 21, 2017. CALL FOR ENTRIES! Details and Registration: MasterDesignAwards.com Visit us online to learn about the awards program and get tips for entering your project. Mark your calendar for our Oct. 25 awards reception in Nashville. Questions? 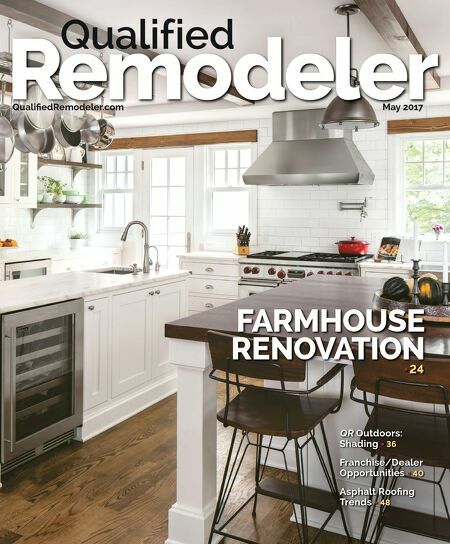 Contact Heidi Riedl, Qualified Remodeler 's projects manager (847) 440-3000 ext. 111 or Heidi@SOLAbrands.com NOTE: We invite applicants for the NARI Contractor of the Year Awards and the Chrysalis Awards to submit those materials for the Master Design Awards.